How to change your email service is quite simple if you follow a few steps. I assume you own a business, have a website and email addresses with your own domain. I am using Google Apps for Business for this tutorial, but the steps are very similar with other services like Office 365 or ZOHO. Let’s explain the following steps. Verify your domain with Google. Change your MX records from your current email service to Google. Update your MS Outlook and other email clients. Synchronise your existing emails with your new accounts. You need access to your web hosting service. You need to create a Google Apps for business account. Log into your web hosting service, look for the control panel and DNS Zone Editor. While creating your account you will be prompted for a domain verification. There are a few ways you can verify your domain. 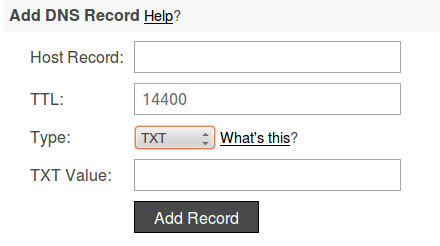 Insert your code into the TXT Value. Do not change any other records at this stage. You have to wait 1-2 hours for the verification to take effect. You also have to update your MX records. Look for MX (Mail Exchanger) in your DNS zone editor. Replace the existing MX records with the ones provided by Google. Use the sequence shown in this example. Do not change any other records. It will take approx 1-2 hours for the changes to take effect. You have to reconfigure your email clients, like MS Outlook, to point to Google. I would recommend to use IMAP for your incoming email. You have to reconfigure the email settings in your smart-phones and tablets as well. Most likely you will have a high volume of emails to synchronise from your local MS Outlook to Google Apps account. Depending on your email volume, it can take some time and may slow your Internet connection. I would recommend to use a fixed Internet connection. You can easily exceed your data limit on a mobile connection. It is not difficult to change your email service but don’t change any other DNS settings. You could lose access to your email or website if you change the wrong settings. Don’t attempt this if you are not sure. Your web hosting service should be able to do it for you.